We all know that it’s imperative to generate real estate leads and convert them into clients, It’s no secret there’s a lot of competition in the real estate business. You need to stand out, and you need new and innovative ways to get in front of potential clients. After all, meeting face-to-face is still a factor in converting real estate leads. 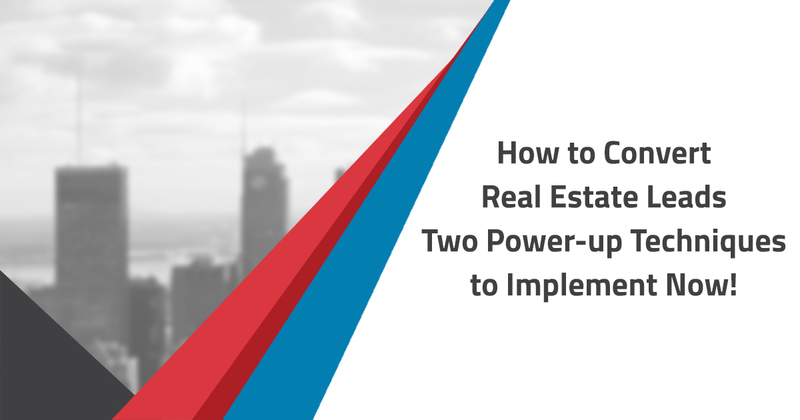 To help you with this, and because the Powerup Leads community thrives on innovation, try these two out-of-the-box methods to convert your real estate leads now. Usually associated with in-person interactions, incorporating mirroring psychology into your emails can help build likeability and rapport even before speaking with a potential client. When face-to-face, mirroring is the conscious or unconscious act of using the same body language as the person with whom you’re communicating. If the person you’re talking with covers their mouth when they laugh, chances are you’ll do the same. Do they lean forward when talking to you? Then you’ll likely lean forward also. Studies show that this behavior increases likeability as it’s subconsciously messaging that you’re in tune with the other person. You can also create your own unique closing phrases, one for each type of tone. Although a small detail, this can help make you more memorable. Mirror, don’t mimic. There can be a fine line between the two. The latter has negative connotations and harkens back to elementary school days. Mimicking can be avoided by simply not using the other person’s exact words or phrasing. Stay true to your core personality. If the lead uses a lot of exclamation points and you are most definitely not an exclamation point kind of person, don’t use them! Because when you finally do meet the other person, if your personality is in direct juxtaposition with your emails, the potential client will be confused or even worse, interpret you as being untrustworthy. What’s your unique selling proposition? What sets you apart from other agents? Maybe it’s a guaranteed amount of time in which you return client calls. Or perhaps you give them a bottle of champagne after the closing paperwork is signed. While these are great ideas, you need to take it to the next level by offering something that gets you in front of potential clients. For example, you could offer free staging consultations that go beyond the usual advice to put away family photos and repaint rooms. Suggest room arrangements, inexpensive ways to freshen up the decorating, and what can be done to increase curb appeal. Although you may not be professional home stager, you have seen a lot of homes. You know what people like and what they don’t. Usually, this experience is put to use once someone’s already become a client. By merely moving it to a different place in the sales process, you’ve significantly increased your chances of converting and closing that real estate lead.